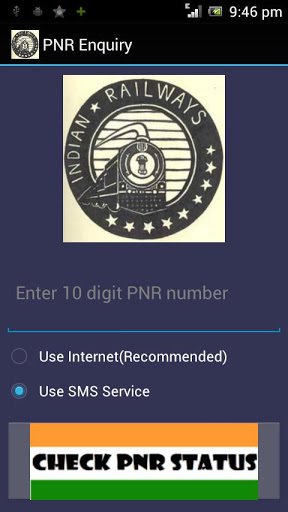 PNR Rail App – Check 10 Best Apps to Check PNR Status on Android Phones & Tablet directly. 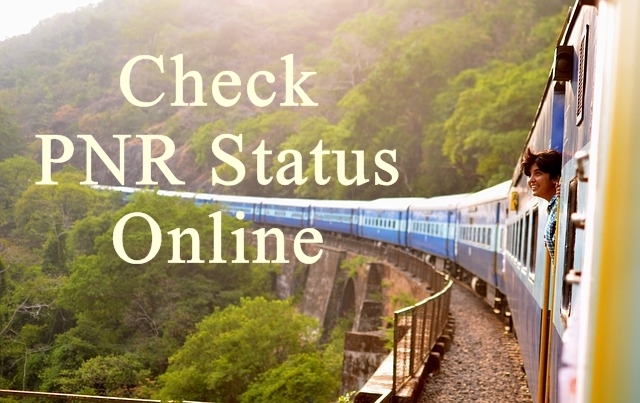 PNR Status Check has been the user’s top priority once when they book a waitlisted or RAC train tickets. Yes, we are talking about the Indian Railways system. There are a number of options by which you can know the Status of your waitlisted ticket. One among them is to check out via your Android smartphone or tablet PC and so we go through best Android apps to find PNR Status through PNR Status Enquiry apps. 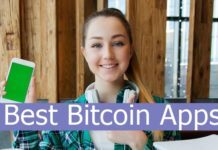 If you are connected to the Internet either its 2G or 3G you, instead going through the Android browser you can directly install an application and known the status whenever you want. 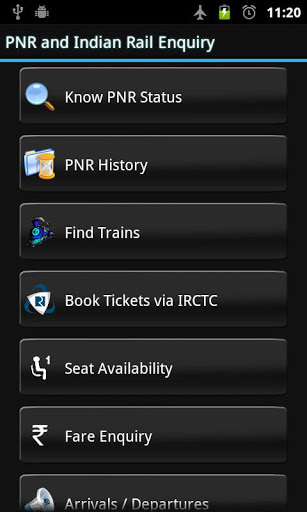 Alternatively, if you have a Windows Phone then you can check 6 best apps to Find PNR status. Using the PNR Status & Train Info you can check the status of the PNR status of your Indian Railways based train ticket. You can also check the status of a ticket booked via the IRCTC account as well. 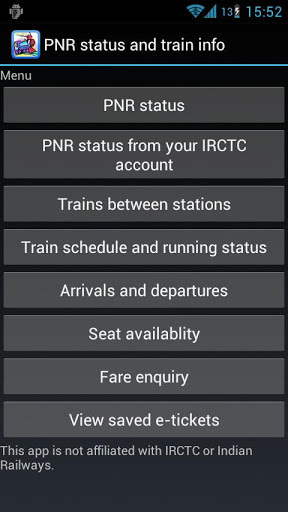 Apart from the functioning of this application as the PNR status check, this application includes the option to the train schedule, train map, train between stations, seat availability information, train running information, arrival and departure of trains at a particular station, fare enquiry, view status of several tickets at once and lot more. Indian Rail PNR Status Enquiry is used for checking the PNR Status of reservations of Indian Railways. This application has the storage option for PNR and shows up when you check it for next time. 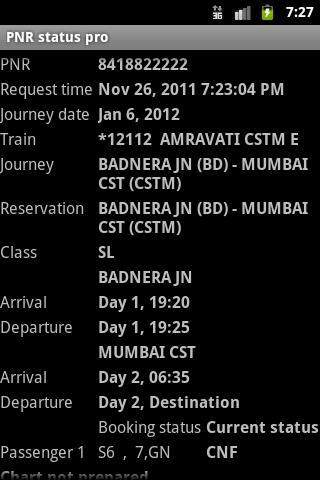 The interface is very simple, clearly shows PNR and reservation status. PNR and Indian Rail Enquiry give the information anytime and anywhere, application is free in android with beautiful UI. Make a simple way by PNR and Indian Rail Enquiry to plan trips, track trains and PNR numbers. 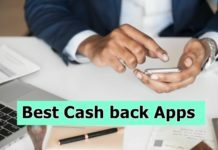 Apart from all this applications, it show Share Fare Enquiry, Seat availability, Train schedule , know PNR status , PNR History, book tickets by IRCTC, seat availability, train fare enquiry , arrivals & departures, train schedule, train running status and more , you can mail all details to your friends. PNR Status works with brilliant in all versions and devices. 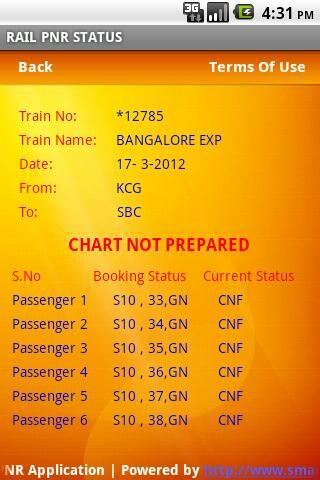 Check PNR status online on the go schedules, these applications saves the PNR number so no need to time for next time. It has Internet support, SMS support, more resource efficient, which have access to serve anywhere and anytime. 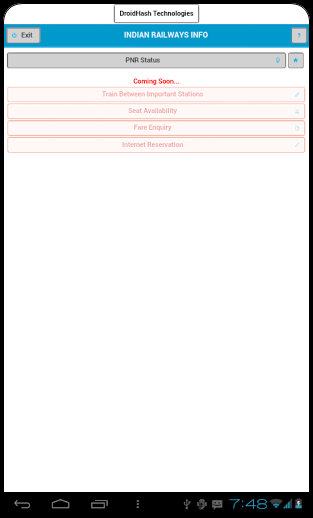 PNR Status Notifier books tickets in mobile and gets the automatically notifications about Railway waiting list status and helps to check PNR and keeps informing status of waiting list at an interval so that you can configure. So no worry about checking waiting list status time to time enjoy with your travels by PNR Status Notifier. To know the PNR information PNR status application is useful to get the PNR Status of railway tickets booked in India. 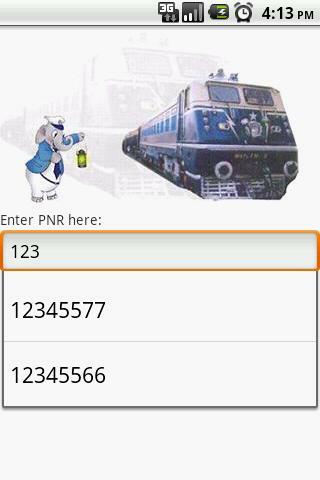 In every Android mobile this application is available to check the PNR status of the passengers of Indian railways. Rail PNR Status application is to check the rail PNR status. This is useful application to get PNR information of railway ticket booked with Indian rail. While reserving a ticket for train journey to have to fill the given 10 digit number which is generated by taking into account of name passenger, journey details, details of travel agent and booking agent. This factors help in generating an alpha numeric 10 digit number which is used during enquiry. PNR means Passenger Name Record. To check the PNR status of passenger from Android Mobile Indian Railway PNR Status is used for checking all this information’s. PNR status pro is totally ad-free version of the free application PNR status and train info. PNR status has very simple features like checking PNR status of Indian railways, checking PNR status of all tickets from IRCTC account, train schedules with train name and train number, seating availability, trains between stations, running status, arrivals and departures, saves PNR status of all tickets, saves IRCTC e-tickets, view status of several tickets at once, displays train arrival and departure timings and more. 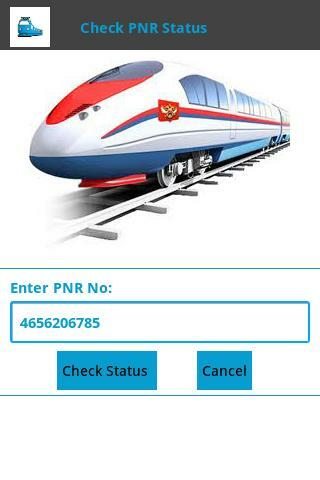 This application is for checking PNR status in all free android mobiles. As this is free application you can check your train PNR status as many times. 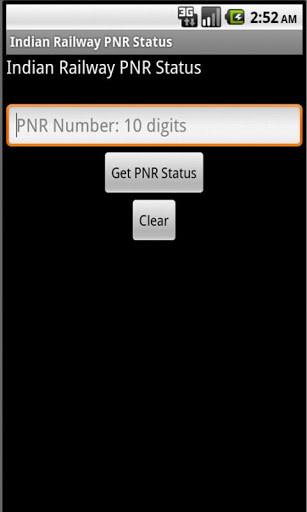 Check PNR status gives the cleat details of PNR status of passengers in your mobiles. And one question to you, which of these applications are you using on your Android device? Do let us know via a comment below. Your feedback is much appreciated.